Autumn, BAR 41's beer buyer, says "As a diehard sour beer, lambic and cider fan, I find these to be some of the very finest examples of clean, crisp, balanced, refreshing and pure fruit flavors. I am super excited to share these with the BAR 41 community. And to umm, drink them myself! These are great for sharing with friends like a good wine, and they make a great drink for the summer. Can you say "jerkum cocktails"?" "...Inspired by the region’s abundance of fruit and excited about the prospect of doing things differently than everyone else, Monte and Victor turned their visions to jerkum, cider and perry making, creating products that could bear no name other than, “Mission-Trail”. The Mission Trail Cider Company’s homestead is a sprawling ranch nestled in the foothills of the Santa Lucia Mountains just over the Coast Range from Big Sur. Each product is made once per year with fruit pressed directly from the orchard. Mission-Trail never uses concentrate, flavoring, artificial ingredients, or coloring in its wine, and the Jones’ brothers are proud to craft honest and unique products that customers can find nowhere else. 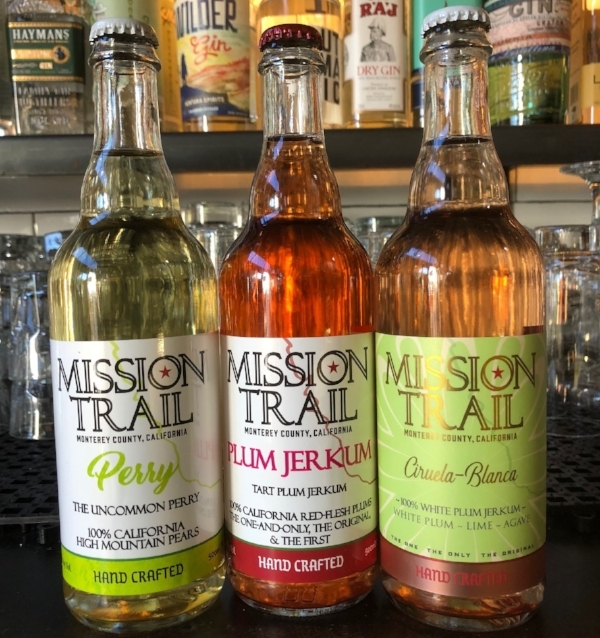 Mission-Trail has one simple goal- create innovative, and artisanal jerkums, perrys, and ciders, while using traditional wine making practices."